A Cabernet Sauvignon and aged Gouda go really well together, as does a Chardonnay and Gruyere. A Malbec and aged cheddar is an excellent combination, so is a Pinot Noir and Brie. A delightful wine or a tasty cheese are easily enough found on their own, but what brings out the best in both and makes for the best experience is when you can find the perfect pairing. The right wine but the wrong cheese can leave a tart taste in your mouth. Same thing with the right cheese but the wrong wine. There's been a lot of talk this spring about the Calgary Flames goaltending situation for next season. With last year's combination of Brian Elliott and Chad Johnson both pending unrestricted free agents, there is nothing set out on the table as of yet. There's been plenty of talk about options for 2017-18 and who might be good fits, but they've been incomplete conversations. 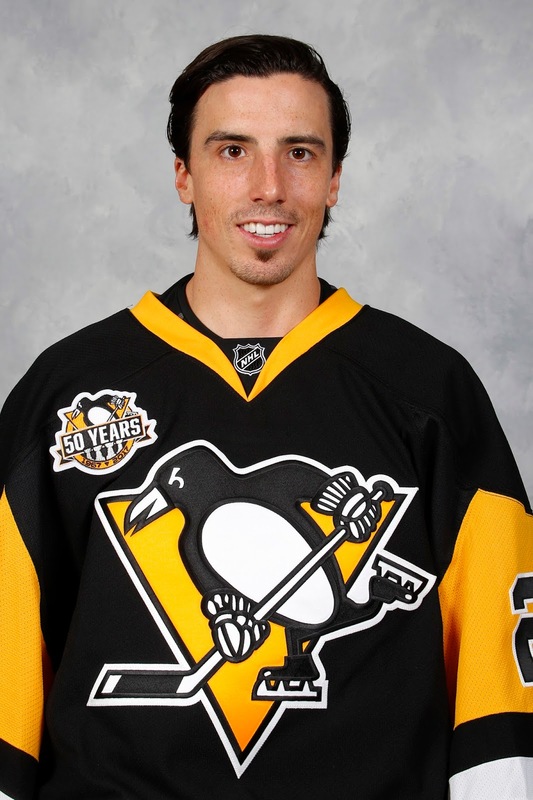 What if Marc-Andre Fleury was available from Pittsburgh? OK, but paired with who? 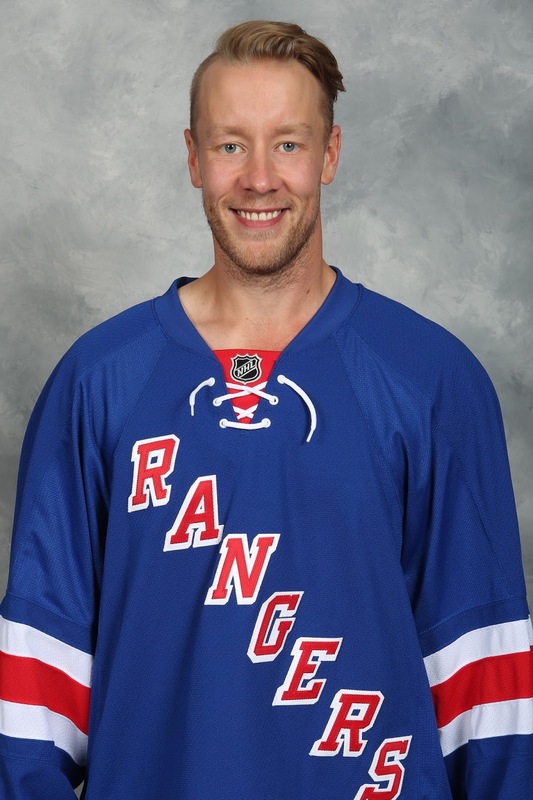 Same with Antti Raanta. Would the current New York Ranger back-up be a nice addition? Absolutely. But alongside who? For best results, it's not just finding one goaltender, it's finding two that complement each other. 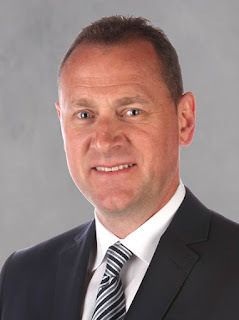 The sommelier when it comes to stocking Calgary's goal crease with the perfect pairing is general manager Brad Treliving. While there are endless combinations of goalies that are or could be available this off-season, I've prepared six potential pairings that each in their own way, should whet the palate of many Flames fans. None of them, of course, will satisfy all as everyone has their own tastes, but each of these pairings carry some allure. Murray - If Marc-Andre Fleury plays hardball regarding his no-move clause, or if the veteran -- coming off a game 7 shutout against Washington -- leads the Penguins to yet another Stanley Cup, or if Pittsburgh has lingering concerns about Murray's durability, maybe there's a slim chance Murray could be the guy moved prior to the expansion draft. It wouldn't be cheap but a first round pick and Jon Gillies should at least get the conversation started. Bernier - Will be a UFA, who isn't going to command anywhere near what his last deal was worth at over $4 million annually. 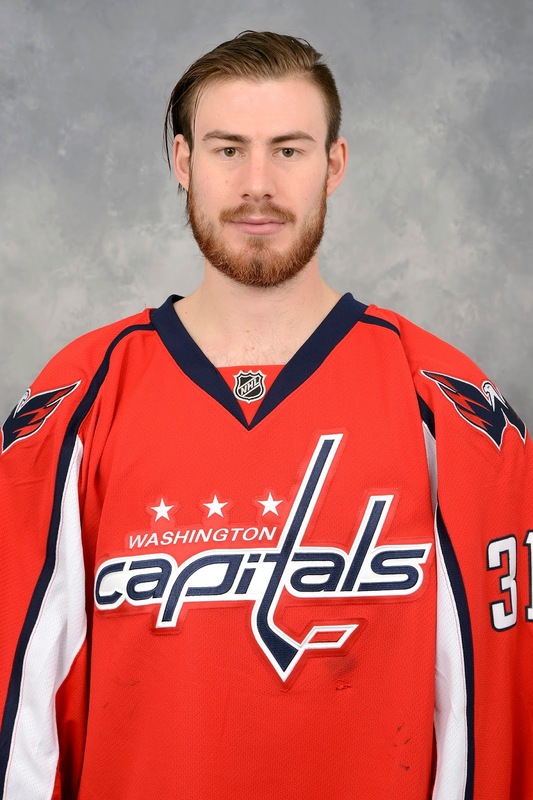 For a modest price, he could be signed for 1-2 years to bridge the gap to the prospects in the Flames system. Well, it's not very complicated why getting Murray would work. 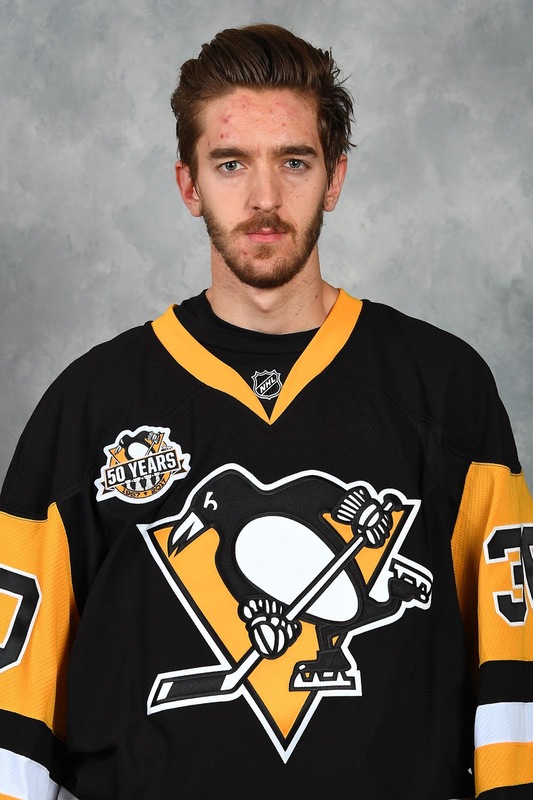 He has already lead the Penguins to a Stanley Cup and he's been excellent in his two seasons since breaking into the NHL. He would be the Flames solution in net for the next several years and would take the pressure off the organization's prospects, allowing them to develop at their own speed. 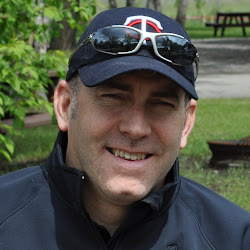 Murray's age makes him part of a solid Flames foundation moving forward, who are all age 23 or younger -- Sean Monahan, Johnny Gaudreau, Sam Bennett, Matthew Tkachuk and Dougie Hamilton. 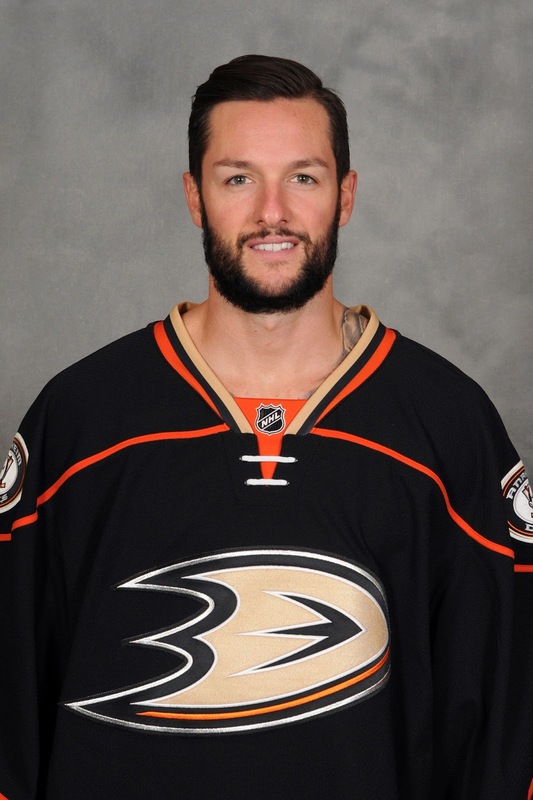 Bernier has never lived up to the hype of being selected 11th overall by Los Angeles in the 2006 NHL draft. But at the same time, he's been better than you think. Taking over for the injured John Gibson late last season, Bernier was excellent. He went 11-0-2 from March 7 through the end of the year and was instrumental in them winning a fifth straight Pacific Division title. Bernier won't be offered a No. 1 job anywhere but he's proven he can be an excellent back-up with an ability to be the No. 1 if injuries strike. As stated, the huge what-if is that it's highly unlikely the Penguins will part with such a key piece of their future and one who is locked in at a very nice cap hit for the next three years. In terms of a young guy with huge upside, there's no real clear substitutes because it would be a very rare and unique situation for a talent like Murray to be available. 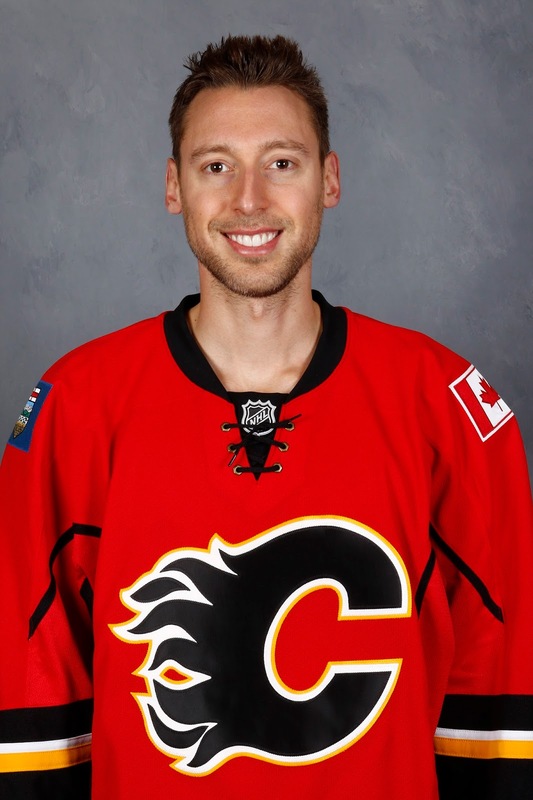 Antti Raanta is a guy that could be that way down the road but a tandem of Raanta and Bernier might leave a little too much uncertainty for the Flames GM. A substitute for Bernier is far easier to find. Chad Johnson being a veteran would be another natural fit as the No. 2 behind Murray. Another guy to consider is Mike Condon (2.50 GAA, .914 SV%), who posted nearly identical numbers as Bernier last season with Ottawa. He is also a UFA and probably comes cheaper. Schneider - Last place finishers in the Eastern Conference last year and 27th overall (one point out of 29th), are the draft lottery-winning New Jersey Devils rebuilding? If they envision themselves a few years away from competing for a Stanley Cup, this is a chance to rid themselves of a big contract in net and bring in a cheaper option until they're ready to go for it. Johnson - He has moved every off-season for the last six years, constantly signing one-year deals and changing organizations. Re-signing in his hometown for a second year could be something that works for both sides. Schneider is coming off a down year but given he amassed the NHL's best save percentage over the previous six seasons at .926, last year sure feels like the anomaly with the Devils poor record a contributing factor. He has made 68, 58 and 59 starts the past three years so has proven to be durable and one of the NHL's best goaltenders. 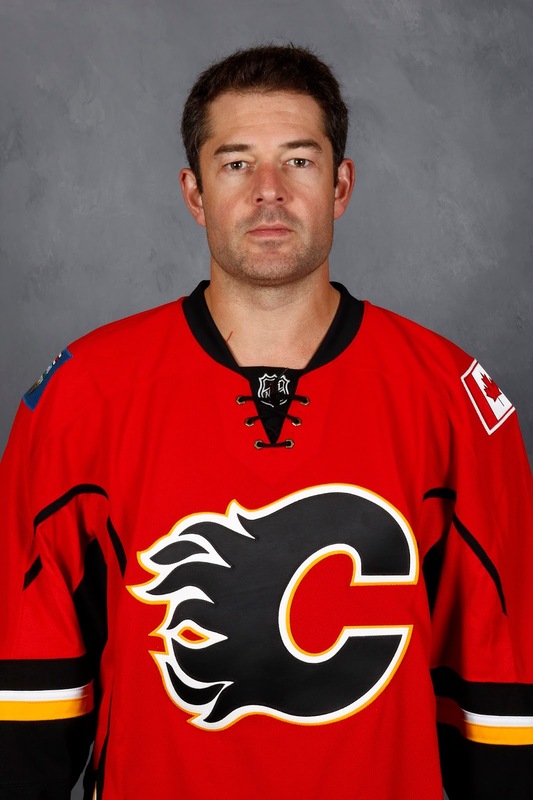 If he can be pried away from New Jersey, perhaps for a package including Gillies (who hails from not that far away), Calgary will finally have stability in net for the first time since Miikka Kiprusoff retired. Johnson has moved around constantly in his NHL career, always chasing the opportunity to be a No. 1 goaltender. But turning 31 this summer, not sure he's going to get that chance. But he proved with his play last November-December in particular, that he can be an ideal back-up and is capable of playing very well over a short period. Re-signed to a two-year deal, it would give Johnson stability and it would solidify the Flames crease for the next two seasons until one of their prospects are ready. While Johnson won't get an offer to be a No. 1 anywhere this summer, there may be more attractive situations than Calgary, especially if Schneider is brought in to play 60 games. Schneider himself is obviously the other question mark. New Jersey doesn't need to do anything with him so perhaps they choose to stay the course. The term is shorter and he's older but Fleury is a potential replacement for Schneider in this scenario. In lieu of Johnson if he was to sign elsewhere, you could look at other UFAs like Bernier, Anders Nilsson or Condon. Elliott - Remains Flames property for now so can be re-signed anytime before July 1. Could still re-sign even after hitting the open market. Raanta - Could be acquired from the Rangers, who will protect Lundqvist in the expansion draft so risk losing him to Vegas for nothing. This would be a 1a/1b combo in which both goalies will be able to see themselves as the starter and it would truly be a battle all season to be the No. 1. Elliott had a sensational two-months in February-March going 18-3-1 with a .930 save percentage but all anyone seems to remember -- for good reason -- is his poor performance in the playoffs. While he's played well in spurts his entire career, it's fair to say Elliott has never proven he can be a true No. 1. That said, he's been at his best when pushed by his partner for playing time and that would be this situation. Raanta performed well as Henrik Lundqvist's understudy in New York and he could be ready to break through much like his predecessor in that role, Cam Talbot, has done with Edmonton. But in four NHL seasons, Raanta has never started more than 26 games, nor has he ever started a playoff game. It's still an unknown if he can perform at the same level while doubling his workload so Elliott would be a nice fall-back option. It's not as simple as the Flames just bringing back Elliott. He has to want to return to a team that pulled him after one goal in his last appearance. As an Ontario kid, there could be a fit for him closer to home in Winnipeg, who are looking for a starter so they can ease the pressure off soon-to-be 24-year-old Connor Hellebuyck. In lieu of Elliott, another guy you could try is James Reimer, who could be available in Florida given they have Roberto Luongo on a long-term deal. Reimer has four years remaining on a deal that carries a $3.4 million cap hit. That would be a longer term than ideal, but it's manageable money and Reimer's numbers have been solid. Pending UFA Steve Mason is another option instead of Elliott. Fleury - Pittsburgh will want to stick with Murray in net so assuming he'll waive his no-move clause to go somewhere to be a No. 1, the Penguins should be motivated to trade him or else they'll likely end up losing him for nothing in the expansion draft. Grubauer - What we know is the Caps are set in net with Braden Holtby. In theory, that makes Grubauer available for the right price. One conceivable scenario is a three-way transaction in which Vegas plucks an extra goaltender such as Grubauer in the expansion draft (i.e. Selects four instead of three, which is permitted) for the purpose of flipping him to another team for a prospect. Bottom line is No. 2 goalies can always be had if you're so determined. Last weekend in this piece, I went into great depth in rationalizing why a Fleury acquisition could work for Calgary. In short, the two years term remaining is attractive. His play in this year's playoffs has been very impressive (in fact, his numbers are good over the past four playoffs). Plus, he's a proven No. 1 starter, who would provide stability to the position, which is something Calgary hasn't had for a while. Seven times in his career Fleury has made 58-or-more starts in a season. Grubauer is similar to Raanta in that the German has shown upside while working as a back-up but it's only been in small sample sizes. His 19 starts this past year was his career-high in three NHL seasons. With the Flames young goalies not ready yet, Grubauer would give Calgary another potential goaltender of the future but one far more proven at this point. With the Flames, he'd get a chance immediately to make 25+ starts and that number could easily grow. If Penguins GM Jim Rutherford is asking too much for Fleury, don't expect a deal to get done because Calgary has other options (while Rutherford has far fewer options in terms of teams that are capable of trading for Fleury). It's for that reason that should a trade get consummated, the acquisition cost won't be that much. Pittsburgh just doesn't have any leverage, unlike a year ago when they had the option of hanging onto Fleury if they didn't get their asking price. Other veteran options with two years remaining on deals that potentially could be had in lieu of Fleury include Mike Smith and Jimmy Howard. UFA Ryan Miller, who turns 37 in July, is also someone Calgary could sign short-term In lieu of Grubauer, Chad Johnson is an option. 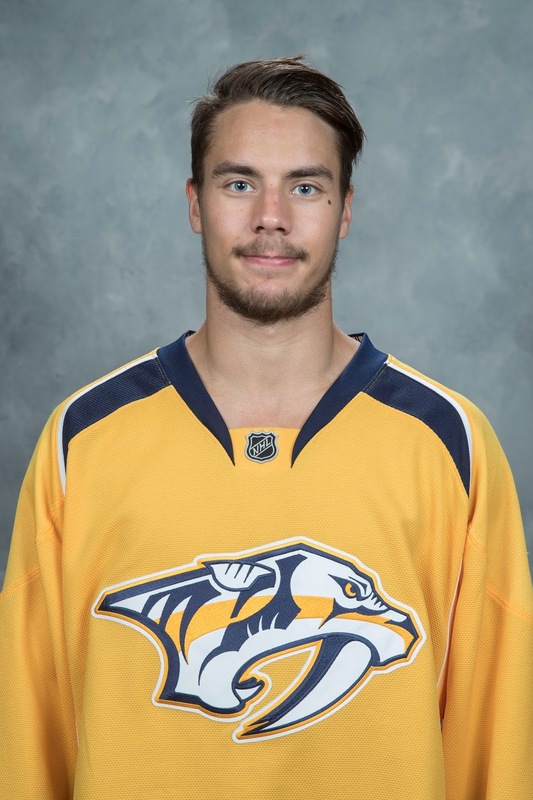 Juuse Saros is another name that packs some intrigue but exempt from expansion draft, the young Finn might be hard to pry away from the Predators. Smith - With the Coyotes at least two years away from competing, moving the 11-year NHL veteran seems logical for Arizona GM John Chayka. 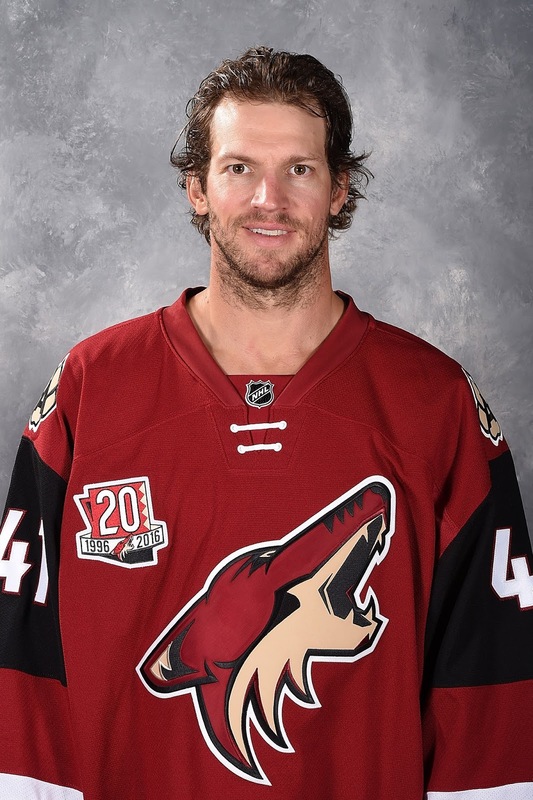 Treliving will obviously be familiar with Smith from his time with the Coyotes. Saros - Pekka Rinne is the guy for Nashville and his playoff performance this year is reaffirming that. The Predators also have 25-year-old Czech Marek Mazanec. That said, Saros sets up to be Rinne's replacement in waiting when his contract expires after 2018-19. Prying Saros away given his performance so far would be expensive. With Smith you're getting someone that should come relatively cheap. Heck, Arizona might even need to retain salary. He's started 55-or-more games four of the past six seasons so you know he can shoulder a ton of work if needed. His numbers recently have been steady but not amazing but you have to factor in he's also been on one of the league's worst teams. Arizona has finished 29th, 24th and 28th the last three years. Smith's presence allows you to bring Saros along slowly and not rush him. That said, if he takes over the starting role sooner than later, so be it. His credentials so far look great. In his two seasons in the AHL, Saros put up save percentages of .920 and .934. He made 19 starts with Nashville this season and had a tidy .923 save percentage. He's not your typical goalie at 5-foot-11 but his athleticism more than makes up for his lack of size. He would be an intriguing addition. Ths easy what-if with this one is the availability of Saros. Why would Nashville, two years away from potentially losing Rinne to free agency, deal away a talented 22-year-old that is his natural replacement, who has shown already he has the ability to play in the NHL. But you never know what Nashville's needs are and what Calgary might be willing to offer. Another option instead of Smith, who also comes cheap given he's a UFA is Miller, who could be inked to a one or two-year deal. As for Saros, another young Finn to consider that would be more available is Columbus' Joonas Korpisalo. Just a year older than Saros, Korpisalo won't be playing much anytime soon with Sergei Bobrovsky in place. Plus, the Blue Jackets risk losing him to Vegas in the expansion draft. Mrazek - Detroit has veteran Jimmy Howard, coming off a nice year in which he put up a .927 save percentage, plus they have 25-year-old Jared Coreau also. Mrazek could be deemed expendable and the time to act would be pre-expansion draft where the Wings could be motivated to move him. Halak - Shipped to the minors in December by the Islanders to remedy a three-goalie situation they had, Halak should be available for cheap. The Isles would likely need to eat some salary but it's only for one year. The Czech and Slovak each have something to prove entering the final year of their current deal. Mrazek was excellent in Detroit up until being anointed the No. 1 goalie headed into last year. Promptly, he struggled with the higher expectations and was outplayed badly by Howard. But his age is attractive and so is his track record. Over the four seasons leading up to last season, Mrazek's .920 save percentage in 83 starts was 11th in the NHL and that came at ages 20-23. An RFA after his current deal expires, it's a 'prove it' year and if he does, he could stick around a while. It was a turbulent start to the season for Halak, the eldest member of a three-headed monster the Islanders had in net for much of the year, to the chagrin of his outspoken agent Allan Walsh. Eventually in December with Halak's save percentage a pedestrian .904 at the time, he was put on waivers and sent to the minors. But that's where his season turned. 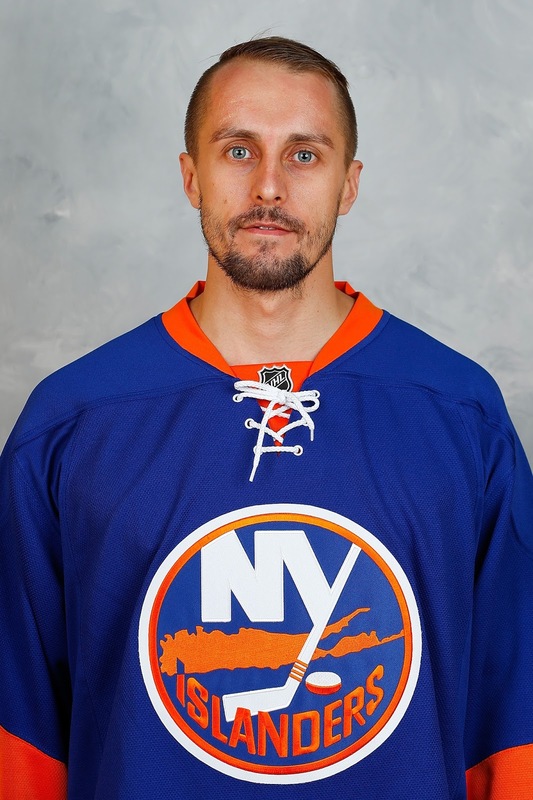 A .925 save percentage in 27 games with Bridgeport got him a return ticket to the NHL where Halak went 6-1-0 down the stretch with a .949 save percentage to almost get the Isles into the playoffs. Halak could be a nice complement to Mrazek for one season, buying more time for Mrazek's countryman David Rittich (or Gillies or Parsons) to become ready. 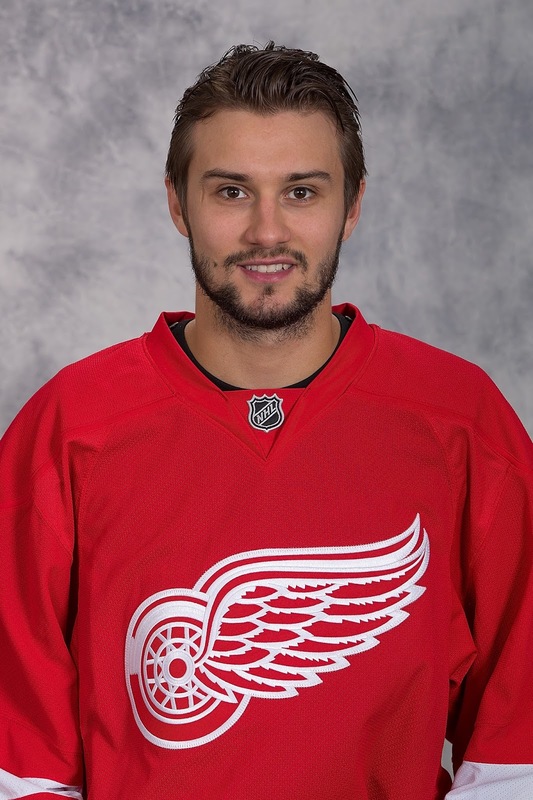 Detroit may come to their senses and after missing the playoffs for the first time since 1990, realize that youth and potential is most important at this juncture and protect Mrazek over Howard in the expansion draft. If Mrazek can't be had, another option and one with zero acquisition cost is Steve Mason. The longtime Flyers goaltender is a UFA this summer and while he struggled this year (.908 SV%), his first three years in Philadelphia were pretty solid. He turns 29 later this month and might be worth a short-term deal. Could it be two of the above, only in a different pairing? Absolutely. Mixing and matching to get the final outcome is definitely possible and as we go, circumstances may change when it comes to the availability of players so the goaltender market should certainly be considered fluid. Given Calgary has gutted and re-stocked the goal crease two years in a row, I'm sure the team would prefer at least a bit of stability this summer and Johnson, given his ties to the city and his solid play in a back-up role last year, would be the most likely guy to return. That said, I'd be surprised if they re-sign Johnson to sit in the passenger seat until they know who is going to be doing the driving. To that point, Johnson may want to wait and see also. I started off by talking about drinking. Now I've ended by talking about driving. Just remember, don't do both at the same time! Meanwhile, here's a toast to the final pairing decided upon by Treliving hopefully being one that quenches your thirst. Good analysis Darren. When you factor in trades and the expansion draft, the Flames have a lot of potential options. Hopefully they can pair a younger potential #1 - maybe Raanta or Grubauer - with a more proven vet without giving up too much. It really was an exercise in exploring the many options out there. That said, I wouldn't rule out a return to last year's combination either. Would come pretty economically, I'd think, and if time has healed all wounds from how the playoffs ended, you can't dispute that as a duo, the Flames goaltending overall was much improved in 2016-17 over the previous year. We'll see, so many ways to attack this thing, I'm curious to see what they end up doing and whether such clarity comes pre-expansion draft, pre-entry draft, or if it lingers into free agency. If the latter, surely not that far beyond. Cheers. As for Rittich, I don't think he's ready for the NHL yet. When they signed him, he was advertised as very 'raw' and they wanted to work with him as they liked his potential. 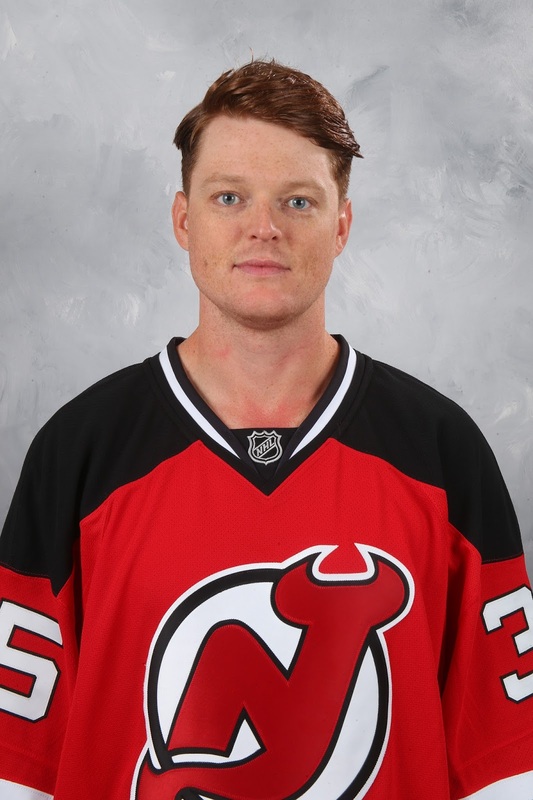 Not sure he's done enough (despite the shutouts) in his 30-plus AHL games to suddenly make himself a guy Calgary will trust to be an NHL back-up, which could mean 30-35 games depending on who the No. 1 is and injuries, etc. You're right about Pittsburgh in that if they did trade Fleury, they would need a goalie to expose and so would Calgary if they moved McCollum in such a deal, but finding a goalie to fulfill that purpose would be doable without too much issue. Lots of intrigue to come in the next four weeks. Cheers.